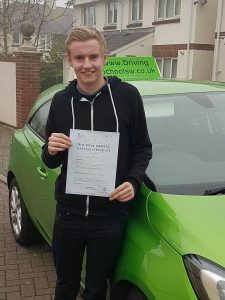 Huge congratulations to Kieran Corbett who has been having Driving Lessons in Torquay and has managed to nail his Driving Test. Kirsten his Driving Instructor who works for The Driving School sw was over the moon for Kieran as he passed with just 3 minor faults ? and is one happy bunny! ?